Populations in developing countries, especially in regions that lack telecommunications infrastructure, usually do not have access to the information technology. Instead, Delay-/Disruption-Tolerant Networks (DTNs) have the capacity to interconnect areas that are underserved by traditional networks. Anycast routing can be used for many applications in DTNs, and it is useful when nodes wish to send messages to at least one, and preferably only one, of the members in a destination group. 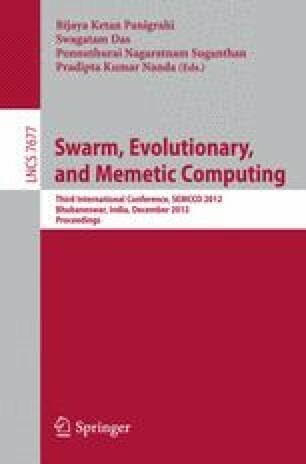 In this paper, aiming an efficient routing, it is analyzed a Genetic Algorithm (GA) based anycast routing algorithm. Simulation experiments show that the proposed algorithm can produce good results in typical scenarios including delays and disconnections in message delivery.